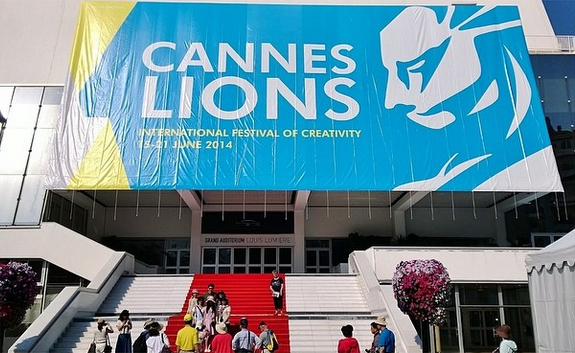 CANNES, FRANCE: The Cannes Lions International Festival of Creativity released a statement on Wednesday morning clarifying that FleishmanHillard was the first PR agency to win a Grand Prix when it was recognized in 2010. "From a historical perspective, the first time a PR agency was named among the winners for the PR Grand Prix was in 2010, when FleishmanHillard partnered with TBWA/Chiat/Day Los Angeles on Gatorade’s Replay campaign," the statement said. Prior to the festival’s clarification, Edelman had claimed the mantle of the first PR firm to win the Grand Prix, when it picked up the award on Monday for its work on Chipotle Mexican Grill’s The Scarecrow campaign. Creative Artists Agency Los Angeles also won a Grand Prix for its work on the campaign. Shortly after winning, CEO Richard Edelman wrote on his agency’s blog, "This marks the first time that a PR firm has actually won the coveted Grand Prix award." "Let all of us in our profession take the pledge that this trophy should never leave PR land again," he said in the blog post. "Our down payment on this pledge is the nearly 40 people from Edelman who are here this week to drink in knowledge and to persuade clients that we are able to take on even broader assignments in the marketing sphere." On Wednesday afternoon, Edelman updated the blog to reflect the clarification. "Though not awarded due to the rules at the time, PR company FleishmanHillard was part of the 2010 Grand Prix winning team for Gatorade’s Replay," the statement said. "The Cannes Lions rules were updated in 2013 to allow multiple agencies to be listed on an award submission." The rival claims stem from the fact that the festival changed its rules for the PR category in 2013, leading to a modification in the award’s language. "[The rules were altered to allow] more than one agency to be listed as the Lion winner, the better to reflect the increasingly collaborative nature of the business," Cannes Lions’ statement explained. "Prior to that, only one agency could be listed as the lead, and the other agency partners were listed as ‘with assistance from.’"
Fleishman CEO Dave Senay said via email that it was good to see another firm "carry the torch." "It is heartening to see that the trend – which began with FleishmanHillard in 2010 – of recognizing and rewarding public relations agencies who have been critical to a Cannes Lions winning campaign is continuing," he added. "I congratulate [FleishmanHillard] and am pleased that both of us have made the Grand Prix for PR something won by a PR firm," Edelman told PRWeek. This story was updated on Wednesday at 5:10pm ET to include comment from Edelman.